We cover the needs on US, Multi-State, Local and International Taxation as applicable to your needs and the rules that govern Taxation. We are here for your needs and that starts with an understanding of your individuals circumstances. Connect with us for needs on Taxes Contact Us and read on here, around our web site and at DCarsonCPA on web to learn more of where we may asist. We look forward to supporting your needs on Business, Non Profits, Government or Individual / Family Taxes. Please read on to learn more or fast track to contact us or e-mail at info@dcarsoncpa.com as best meets your needs. We offer convenient web friendly services or onsite support services where you need them and as best applies to your needs on services. 2. To inform you of Rules that may impact you as a continuing Client to help you better identify points of needs on Tax Policy interaction at the Multi-State and National levels of Decision Making. So you can see forming Tax Policies that will impact your Financials. 4. To help find resolution on Audits and other Advanced needs in the case of more advanced needs to help you on Audits, Desk Audits or to interact at points of recourse if you feel you have been unfairly dealt with on tax policy from the lines of the Tax Payer Advocate through to the Tax Court in the outlier of cases that may not be otherwise resolved. Contact Us or e-mail info@dcarsoncpa.com on services. Taxes are an important area of Financial Compliance and Civic Duty for All Entities and Individuals. We are here to support your needs on Taxes with knowledge, experience, teamwork and research. The most important element of which is the knowledge of how to find answers and cover needs on Taxes in correspondence to your Tax Circumstance. The ability to cover your needs comes through a process of learning more about your Financials and Operations to best correspond those details to the applicable rules in the Federal, State and Local Tax Codes that Apply. Taxation is the funding arm of Public Finance and it is an important part of where we all connect with civic responsibilities on the Local, State and National levels. The Tax code is also a method of Economic Incentive that Government uses to encourage activities or discourage activities it therefore becomes an important area to follow updates and evolving changes which move through Government on a frequent basis. To cover this need we use the Accounting and Analysis skills along with Government and Legal Research skills to support Client needs on Taxes. On any given day we are following many streams of Tax updates for the trends in New Legislation, New Tax Rules and the ways that you can connect to Tax Rule making with your needs, and meet Taxation needs with Compliance. To best consider Taxes on Financials it helps to be proactive as once you have committed to a Transaction you typically own it's Tax Circumstance so it is sensible to know first what your potential Tax Impacts may be prior to committing to transactions and we can help you better prepare through Tax Analysis. Our skills connect Accounting, Financials, Taxes, and Analytics and Forecasting as needed. ﻿We connect to the Legislative and Executive Branch Updates each day as relevant for new news on Tax Updates, we also connect with the US Tax Court and the State and Local sources for your needs on National, Multi State or Local Taxes. Efficient Research skills add value to depth in services. We are interested in supporting Clients who value Tax Compliance as a duty and will work to help you connect with your Eligible Credits and Deductions and Compliance in the applicable Tax Codes for your Financials across the lines of Government, Industry, Non Profit and Individual Entities. We have the skills and research pathways to connect to your specific needs across Federal, State and Local Tax rules as needed. Frequently the Taxation of a Business, Non Profit or Individual lies in context to it's Economic activity. In the broadest terms Taxation considers Gross Reciepts, Allowable Deductions and Tax Credits to Produce Tax Basis Net Income for the application of Tax Rates which depend on the nature of the Business or Individual Income generating activity and it's reporting line for Tax purposes. Busiensses, Sole Proprietors or Non Profits with Employees also have fiduciary responsibilities as Employers. It's important to review and consider Taxation in anticipation of meeting your obligations so you can plan accordingly and not be suprised at Tax time or to be subjected to penalties and fines for late payments which may increase your Tax bill. In every case there is a responsibility to meet the obligations outlined in the Tax Code and our role on Client Services is to help Clients better understand Taxes and meet the relevant obligations. The proprer evaluation of Quarterly Tax Deposits and funding of Tax Deposits is an important element of this process for Businesses and Individuals. Fiscal Cliff / Tax Updates - We've got them. Find the "Cliff" Tax Updates on our ﻿Hot Topics﻿ page currently where we will update more in the days ahead... check back soon for more. 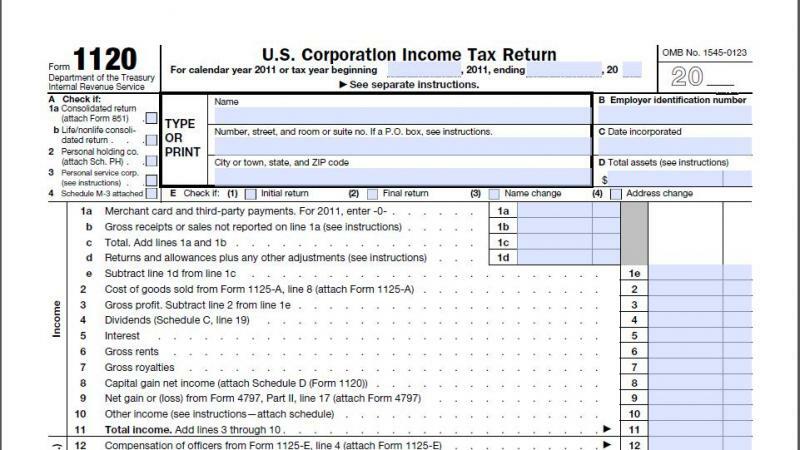 Corporate Taxes Forms 1120 , 1120-S / K-1s / 1099s 941 944 et al. Annual Tax Returns 1120, 1120 s, Quarterly Tax Deposits, Payroll Taxes Form 941 + 944 and the many varied related needs including S-Corp Elections and evaluation of Accounting Methods and specialized Tax Research needs relevant to your specific Entity needs on Taxes. We use Legal Research skills. Tax and Accounting Expertise to assist on your needs for Tax Reporting, Compliance and Analysis to meet Tax Obligations with Compliance. For your Patnership and other Special Purpose Tax Vehicle Reporting needs we are here to assist with skills, experience and Tax Research. For Filing needs for Estates and Trusts and other related Fiduciary Accounting needs we are here to assist with Accounting, Taxes, Compliance and Research. We are a Globally minded practice with strong insight lines that cover International and Multi-National Financials, Tarriffs, Taxation, Transfer Pricing, BEPs and more. Our insight lines connect to the US, UK, EU, Canadian, LATAM, Spain, Portugal, Australian and many other lines of Taxation including Customs / Aduanas Tarriffs for Goods and much more. On the International needs we connect to the Tax Treaties, Trade Treaties, and as noted the lines of UN, OECD, IMF and other lines on Global Taxation, Transfer Pricing and more. We work with the strenght of Research as an adaptive support line to services with years of connecting with those resources and the business and individual needs on Taxes. International Taxation is covered under our Global Lines where we work with extensive International Accounting, Tax, Financial, Economic, Trade, Legal, Finance, Govt, NGO, Institutional, Industry and Statistical Research lines. DCarsonCPA Global. DCarsonCPA The Aggregate Line is an International Line of Macro and Micro Financial Decision Making awareness that exemplifies our ability to work with research and cut across the many lines of research with maps to your needs on Financials for Industry, Non profits, NGOs, Governance and Individual / Family needs. For all needs that we support on Accounting, Financials, Analysis, Research and Advisory we use the same skills on Taxation. Find DCarsonCPA LOBs on Services for a look around at some of the key points and know that at every point we connect with knowledge, experience, teamwork and research as a comprehensive approach to the workflows. We are here to support valid Non Profits on Socially Beneficial Missions to help maintain your favorable Tax Status, we can also help you obtain Non-Profit Status through filing with the IRS. Working with the Self Employed, Small Business Owners, Unincorporated Businesses and much more. Individual Taxes can be as diverse as we all are as people - we help on W-2s, Self Employment Taxes, Homeowner Taxes, Investment Taxes, Rental Property Taxes, Hobby Taxes, and all other needs on request. We have advanced skills on Individual Income Tax, Our skills connect to Federal, State and Local Tax Research and experience in broad areas. More to follow soon. Payroll Taxes are a function of where you work and where you live as an Employee. As an Employer they are an essential Fiduciary Duty and never a valid funding source for your Business. Make sure you make timely Tax Deposits and meet your Obligations. We are here to help you on best Practices for Compliance, and success. We are here to support your needs on Multi-State and Local Taxation. We use advanced skills on Primary and Secondary sourced Tax Research to meet Client needs that means that we go to the Source of Laws, Rules, Manulas and Guidance on State Taxation and then also connect to the complete lines of Tax Research Resources. In most cases we resolve on your needs through connecting to Tax Rules at the source and working closely with Tax Authorities. We work to meet your eligible deductions and credits and to help you better interact with newly forming Tax Legislation and Rule Making through improved awareness. Typically the Multi-State needs correspond to Business, Non Profit and Individual needs, but they could also correspond to a state or locality meeting it's federal obligations where applicable on services (we support Government Clients where the interest exists). On the Local levels it's generally about Property Taxes, Sales Taxes and more localized needs and we port to the Laws and Rules that provide structure to Taxation as primary sources and supplement with direct lines to the Taxing Authorities and Tax Research from many sources. The Lines of DCarsonCPA (our research lines) are at certain points focused in on the needs on NY, DE, CT, MA, CA and TX but also connect to any state where we may assist under rules as the pattern of Taxation that guides State and Local Taxes is consistent across the nation (with the exception of Louisiana) and we use strong and redundant resources to fully access and connect with Tax knowledge, experience, teamwork and research. Redundant resources allow cross sourcing and cross checking for best awareness on needs. DCarsonCPA § The SALT Tax Reporter § is a beta line where we are connecting the Great 50 States and the Provinces. You can follow some of the resources there and accross the lines of DCarsonCPA on web. We take the opportunity to support your needs as an important opportunity so we work with active daily research to best cover your needs. We are building each day to add more to the line which supplements the speciality lines on the aforementioned states above by reaching out to ALL States. We connect with every level of Taxation from Economic Theory to Tax Statistics to the Lines of the Executive, Legislative and Judicial branches of the various states on Tax legislation, rulemaking and rule verification. We also connect to the many lines of NGOs that connect the broad framework of multi-state Taxation and Policy for SALT (State and Local Taxation). Contact Us or e-mail info@dcarsoncpa.com for your specific needs on Services. Tax Theory: Economics, Policy, Law and Rulemaking and the Duty of Compliance. Taxation is a function of Economic Policy as the funding arm of Governance to meet the needs that are Publicly determined and then Legislated and Signed into Law with subsequent delegation to Rule Making in the Executive Branch at the Taxing Authority (under the US system - others may be similar or differ). Taxation is a function of Policy and the Tax code is used to Incentivize and prioritize some activities and to discourage others - for the reason that Taxation in the US Combines Policy and Economics it has some unique points of rules and changes in the many levels from Federal, Multi-State and Local Governance input. 1. Awareness at the Legislative or Rulemaking point and of enacted Tax Rules- where new rules form (to support awareness). To also include the Tax preparation lines of awareness on enacted rules. 4. To Review Taxes : if you have a reasonable sense and factual basis that you have been unfairly impacted on Taxes to find the pathways to resolution and review of Taxes. If you have needs for review the requirement per the IRS and the many states is in general to first pay the obligation then to redress the obligation. These are the main valid avenues on Tax Compliance where we may assist. Additionally we assist on consulting and tax research. In ALL cases the objective is to meet your obligations on Taxes with compliance. Generally at the date of returns - the chances on proactive Tax Decision Making are expired so please plan to consider Tax needs before the year end for best awareness of the Tax results of your decisions so you can meet the corresponding obligations of the decisions you make. For Services Contact Us or e-mail info@dcarsoncpa.com. The Below list from JCT covers the Expiring Tax Provisions in 2012 as ALL CPAs who work on Taxes await Legislative and Executive Branch Updates for Finalized 2012 Taxes. Below also find Our Federal Tax Readers (go to Our State Lines for State and Major City Updates). The Congressional Tax Readers are currently focused on Tax Reductions, we are reviewing resources to balance out the Tax voices so bear with us with time we will have the round picture available but for now read IRS Updates, Congressional (Tax Reduction Updates) and Tax Policy Center updates below as we continue to expand this section in lead up to Tax Season. For Services Contact Us or e-mail to info@dcarsoncpa.com . FASB ASC 740 Income Taxes, Book to Tax Reconciliations, Schedule M-3 income Reconciliation, Temporary and Permanent Differences in GAAP vs. Tax Basis Reporting and other relevant points where Financials under GAAP and Taxes under IRS code meet across accrual, cash and modified accounting lines / OCBOA. Departments of Taxation / Taxation Departments ﻿are key business partners on your needs for Taxation we make your work easier but connecting with the relevant lines of Laws, Rules, Forms and Filing relevant to Taxation, Tax Filing and Tax Research from a Financial compliance perspective to support your needs on Tax Services. In actuality there's much more to consider than just these Executive Branch Deparments as there is more at work to the lines on Taxes in the Legislative and Judicial Branches. 360 awareness on Taxation may need the value of ALL three points in on coverage depending on the compexity of your needs on Taxes. Points mapped in To Express Tax Services and CPA Tax Services to help note where we map in on Tax Services. Tax Services for Corporations, Businesses, Non Profits & Individuals. (US, Multi-State, Local and International). As needed Research and Speciality Matters - International and Visa Taxes et. al. Our Expertise includes Federal, State and Local Taxes for the challenges of Businesses, Non Profits and Individuals on Taxes. We spend considerable time on Tax Research in consideration of your needs as a Tax Payer. Financial Services, Government, Industry and Legal Research skills all come together in Our Practice to expand skills and cover your needs with experience, knowledge, teamwork, and research for your needs on Taxes and related Research. We cover ALL Tax needs if we didn't list it and you need it, please ask. We have strong experience in Tax Research to cover needs from Federal, Multi-State and Local perspectives as needed on services. Includes Domestic and International support with Tax Treaties, Dispute Resolution, Payment Plans, and much more. We like compliance because it is proactive and can save you time, money. penalties, interest and fees on Taxes. Be Proactive on Taxes let us help, contact us. Businesses, Individuals, Non Profits and other Specialized Tax Needs. Contact Us or e-mail info@dcarsoncpa.com for services. Waters Edge, Unitary et al. Expiring Tax Provisions, FATCA, FBAR, PPACA , Basis Reporting, Basis Analysis and more. Daily Tax Developments on Regs and Rulemaking and the various levels. Federal, multi-State and Local Guides. DCarsonCPA § Tax Reporter § on the National Lines of Taxation, Tax Policy and the Economy. We also have International and SALT Tax Reporters within the overall lines of DCarsonCPA on knowledge support.